The Olympics are games held every four years with the Summer and Winter Olympics alternating every four years but two years apart. The Olympics is a leading international sporting event that attracts close to 100 countries each represented by teams playing in different disciplines such as athletics, football, basketball, rugby among other sports disciplines. Initially, only amateur teams participated in the event however this has changed with time to also include professional athletes from around the world. The International Olympic Committee (IOC) is responsible for the management and planning for the Olympics games with assistance from National Olympic Committees and organizing committees for each specific Olympic games. In Canada, the Canadian Olympic Committee (COC) is responsible for the management and running of all aspects of team Canadas Olympic participation and also is a member of the International Olympic Committee. 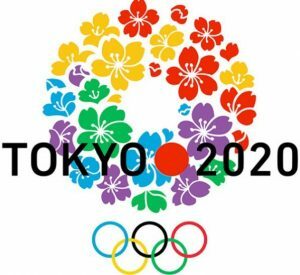 The 2020 summer Olympics game will take place in Tokyo, Japan with the OIC confirming that the event will run from 24th July to 9th August 2020. This will be the second time for Tokyo to host the Olympics games after hosting the 1964 summer Olympics. Next year’s event will see the introduction of more sports disciplines including karate, surfing, skateboarding and the return of baseball and softball which were dropped from the Olympic games during the 2008 event. Other events that have been in the program for a considerably long time include athletics, basketball, football, cycling, tennis, boxing, hockey among other disciplines. According to the IOC president, the 2020 Summer Olympics will have a total of 339 events in 33 different sports covering over 50 disciplines. He also stated that the main goal is to make the event more “urban” and “youthful” and to increase the number of female participants. The continued growth of basketball in Canada is one of the greatest stories in the Canadian sports industry. Currently, Canada is represented by one team- the Toronto Raptors- in the National Basketball Association league which is mainly dominated by teams from the United States. Canada’s men national basketball team qualified for the 2019 basketball World cup for the first time since 2010. The event will take place between 31st August and 15th September 2019 and will be used to select the teams to participate in the 2020 Olympic games. The best seven teams in the World cup event will get automatic qualification. The next sixteen best teams will be joined by two teams each from the five FIBA zones and participate in four separate tournaments with the winner of each tournament filling the remaining four slots. The men’s basketball national team is ranked at position 23 in the FIBA rankings with the athletes being chosen by the Canadian Basketball. The team has participated in nine Olympic events and has one medal to its name having won a silver medal at the 1936 event held in Berlin and finishing fourth at the 1976 and 1984 events. Canada’s victory in Brazil has set the momentum for the 2020 Olympic games’ qualification and also speaks volumes about the players’ commitment and the depth of the squad. With Canada having a total of twelve players playing in the NBA league there is so much expectation from the fans on the teams’ performance in the 2019 Basketball World Cup to be held in China and eventually in the 2020 Tokyo Olympics.